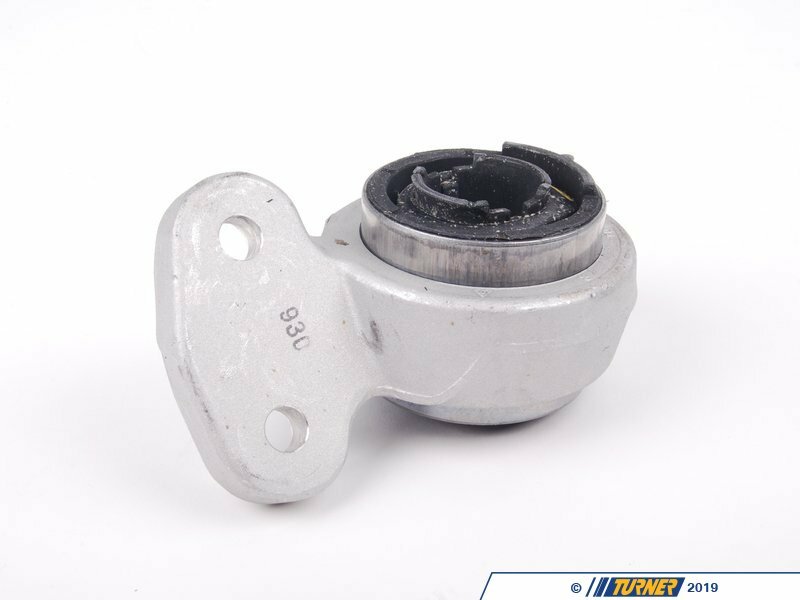 OEM Lemforder front control arm bushings as used on the E46 325i, 330i, and Z4 and an upgrade for the E46 323i and 328i. These are the upgraded 66mm bushings used to eliminate vibrations in the early E46 front suspension. The front control arm bushings are a key piece of the suspension. They are constantly in motion and take abuse from impacts, potholes, rough roads, and general cornering/wheel motions. 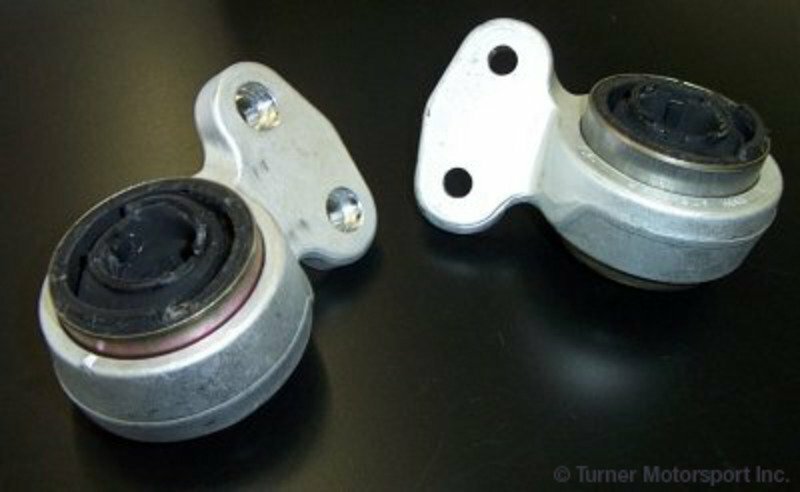 To give a quiet and smooth ride, the bushings are made of compliant rubber. But the rubber can only withstand so much abuse before they become loose and spongy. This results in vibrations and possibly a shimmy when driving. A visual inspection will usually confirm that there is too much flex in the rubber or the rubber has cracked and torn. 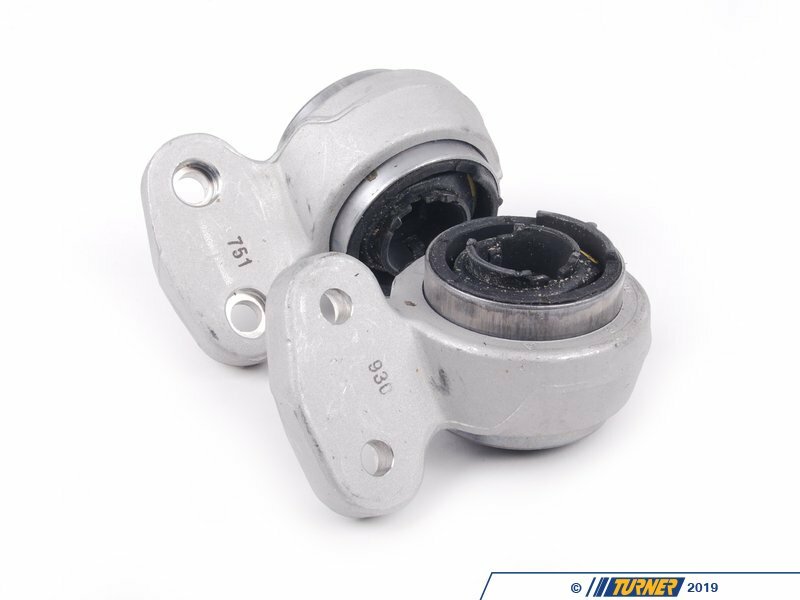 And if you're installing new control arms, always install new bushings to avoid duplicating labor costs. These bushings come pre-pressed into their aluminum brackets. No need to press out old and press in new bushings! Just a simple swap! Price is for the pair. 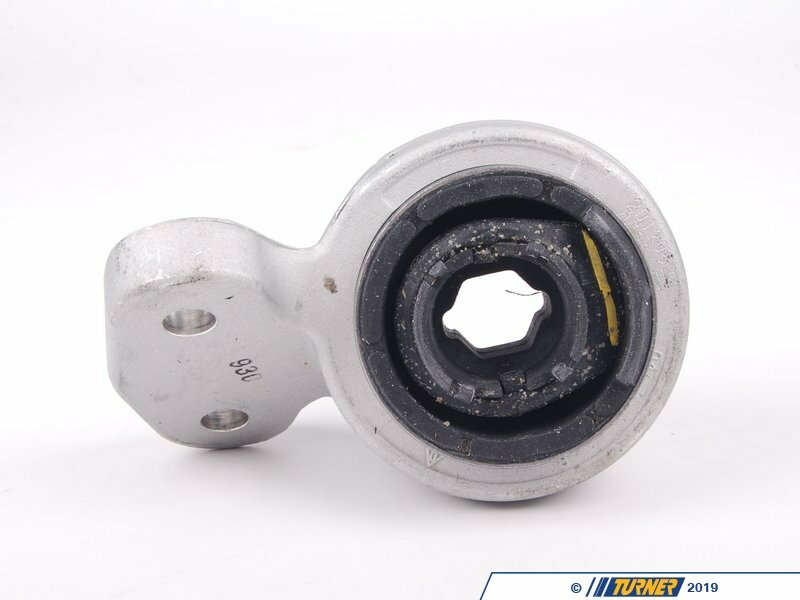 BMW part number 31126757623 and 31126783376.